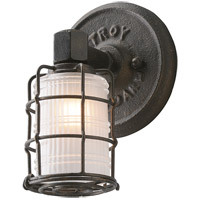 Channel your inner industrial chic with the Troy Lighting Conduit 2 Light Wall Sconce in Old Silver. 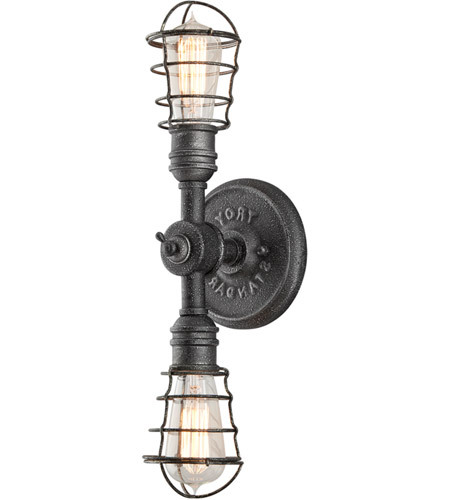 Crafted of solid hand-worked wrought iron, the design features a two-way pipe-fitting with each side holding 1 (100) watt early electric style lamp wrapped in a wire cage. 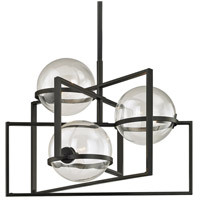 Stylish supplement lighting, it pairs well with other fixtures from the Conduit collection. 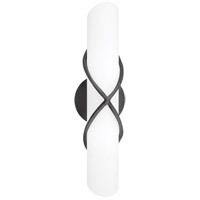 Q Can this light be mounted horizontally (e.g. over top of bathroom mirror)? 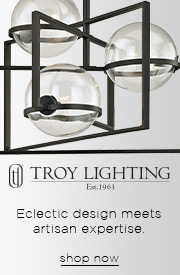 A The Troy Lighting Conduit 2 Light Wall Sconce B3812 can be hung horizontally or vertically depending on your lighting application. 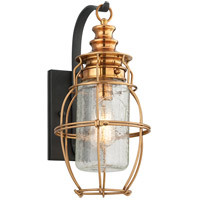 Q Is this light rated for damp/wet location? 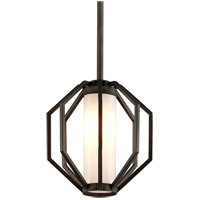 A The Troy Lighting Conduit 2 Light Wall Sconce B3812 is rated for indoor dry locations only. Q Can this be made with a GU-24 base? 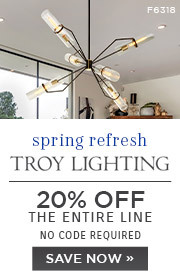 A Unfortunately, the Troy Lighting Conduit 2 Light Wall Sconce B3812 is not available with a GU24 base.